New branding with a wordmark-based logo reflects the strong reputation that PPRI has built in Vancouver and across the country. 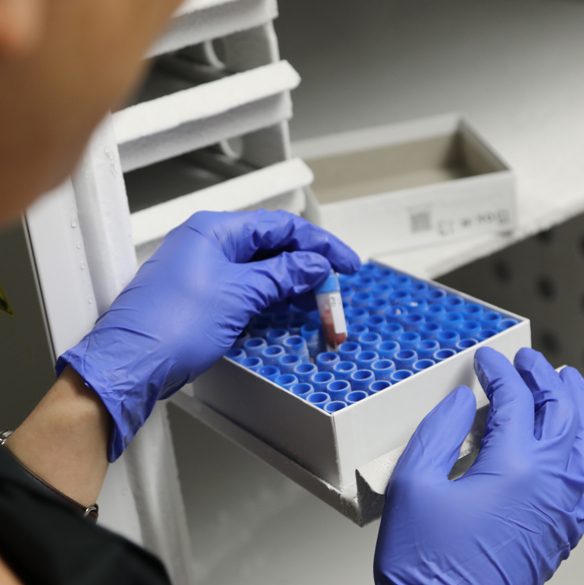 By enhancing the public-facing persona of this non-profit, fundraising charity, PPRI is equipped to continue its urgent and highly personal fight against a devastating disease. 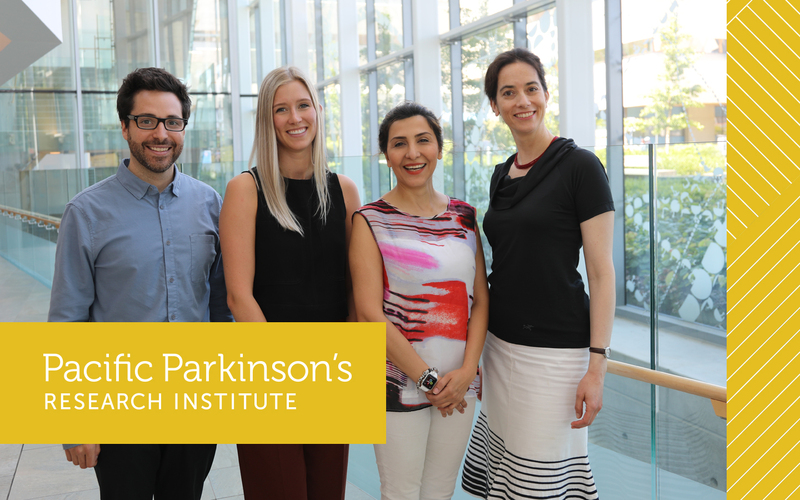 The Pacific Parkinson’s Research Institute (PPRI) is a non-profit fundraising charity that supports ground-breaking research conducted at UBC’s Pacific Parkinson Research Centre. While the Institute has a committed base of donors and funded scientists, the organization needed a new brand to reflect its strong community reputation – which includes low administration costs and highly effective research activities. For the PPRI team, the fight against this disease is both personal and urgent; it was time to enhance their public-facing persona. After a series of stakeholder interviews and discussions, we developed a comprehensive brand questionnaire that uncovered PPRI’s core mission. We also conducted a global competitive analysis and held an interactive discovery session to learn how the PPRI team wanted to express their mandate, their fundraising work, and how they bridge cutting-edge science and community participation. It became clear to our team that the brand should be a wordmark, instead of an image-based logo. We integrated precise fonts, colours, sizes, and spacing to balance approachability with structured, world-class innovation. The design is solid without feeling stuffy. 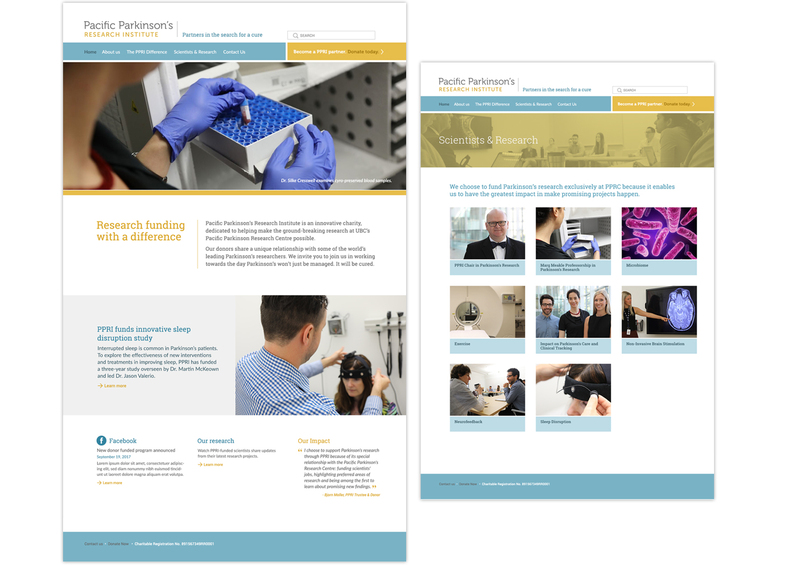 Instead of using stock images, we shot original photography and video footage to authentically reflect the important, day-to-day research work occurring at the Pacific Parkinson Research Centre. Once the brand was finalized, we extended it to business cards, digital presentations, videos and a new website. The organization now has clean, consistent collateral that’s appropriate for every situation.